Car lease deals in December include lease specials with low monthly payments along with down payment, and promotions with zero down payment at signing and greater monthly payments. Regardless of what car lease deal works best with your budget, there are several lease offers can be found in December. If you are looking for car lease deals for luxury car brands, there are many lease deals in December. 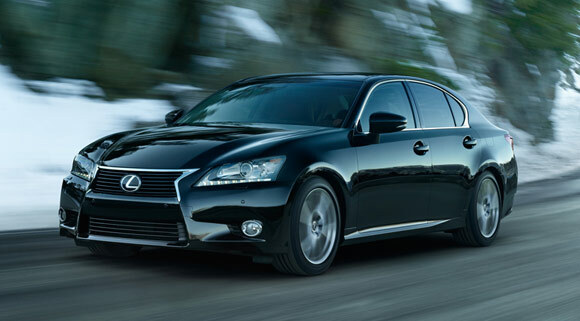 The 2013 Lexus GS350 Sedan is available for $499 a month for 27 months with $3,699 due at signing. 2013 BMW 335i Sedan can be leased for $399 a month for 39 months, $1,000 holiday credit and $750 loyalty cash included in payment with $4,124 due at signing. The 2013 Mercedes-Benz C250 Sedan has a lease offer of $348 a month for 48 months. Down payment or equivalent trade of $4,350 plus security deposit of $400 and applicable taxes due at lease inception. For Crossover & SUV shoppers, Cadillac is offering its 2013 CADILLAC Escalade 2WD for $849 per month for 36 month lease with $0 due at signing. You can also lease a 2013 Ford Explorer XLT 4X2 for $239 per month for 24 months with $3,498 Cash Due at Signing. If you’re looking for a sport coupe, check out the 2013 Ford Mustang lease for $229 per month for 24 months with $2538 Cash Due at Signing. Or you can lease a 2013 Hyundai Genesis Coupe 2.0T MT for $289 per month for 36 months with $2,699 due at lease signing. Take a look at our car reviews & lease pages to view brand-specific lease offers. While we make an effort to maintain the deals listed here up-to-date, these lease offers can alter and might not be available in all areas. The most effective source of information on current lease specials is your local dealer. Use our dealers locator to contact a dealer near you.